By finding and perfecting your narrative voice for your e-Learning course, you gain the ability to create an e-Learning experience that is polished, organized, and complete. In this article, I'll explore how you can discover your narrative voice for your e-Learning content, so that your e-Learning courses can offer real value to your audience, instead of creating disjointed e-Learning courses that fail to meet their learning objectives. The key to create a cohesive and well organized e-Learning course is understanding that every element, from the multimedia presentations to the branching scenarios, is a piece in a larger puzzle. In this article, I'll share a variety of invaluable tips that can help you find your narrative voice for your e-Learning content. 1. Choose your vocabulary, tone, and pace beforehand. When writing the narration for your e-Learning course, bear in mind that it should possess one continuous tone and pace that serves the learning goals and objectives. You should determine these goals and objectives in advance, so that you can custom tailor your overall tone to best convey the subject matter. This may also involve analyzing your target audience, so that you are able to formulate a tone that is relatable for them and fosters an emotional connection. For example, if you are creating an eLearning course for learners who may be more responsive to a conversational and lighthearted tone, rather than one that is dry and professional, you will want to keep this in mind when developing your narrative voice. 2. Highlight your key ideas and emphasize on the real world benefits. The e-Learning courses that you create should be transformed into truly memorable learning experiences if you want to offer your learners the most benefit. Rather than creating e-Learning deliverables that offer nothing more than a collection of different modules, you should strive to give your learners a cohesive and carefully crafted experience that provides them with the key takeaways they need in their personal and professional lives. Don't just force information on them, but try to tie it all together in a meaningful and powerful way, so that they can see how each and every element you've included can be of use to them outside of the virtual learning environment that you've created for them. Keep in mind that learners simply aren't going to be motivated to learn if they aren't made aware of the why behind the eLearning experience. To find your narrative voice and flow, first figure out why the learner would care about the information you are offering them and stress this throughout. What key ideas do you really need to highlight when you're creating your content, and how are they going to be able to apply those ideas in real world settings? Find a way to convince your learners that your e-Learning course is offering them some real value, by creating powerful, compelling and relatable content that connects with them on a deeper level. A major aspect of perfecting the flow of your e-Learning course is to incorporate seamless transitions between modules, lessons, or ideas. If you are trying to make a smooth transition into another screen that explores an entirely different concept, try to figure out a creative, but subtle, way to bridge the gap. This can make your e-Learning course seem more connected and polished, rather than just placing one screen after the other without forming a bond between them and helping your learners to continue their thought process. For example, you can transition from a text-based lesson into a simulation by stating "In the previous section we learned the basics of customer service, now let's explore how these ideas can be put into action on-the-job". 4. Remember that you are a guide through their learning process. An idea that many e Learning professionals forget about when developing their narration voice and flow is that we must serve as guides for our learners. Therefore, the narration voice should be not only informational but also inspiring in order to encourage and motivate them. Rather than creating an abundance of text that leads to cognitive overload, we should figure out how we can best serve our learners through the learning materials and content that we are creating. Narration may come in the form of emotionally gripping stories, effective scenarios, or even the narration of your personal-on the field-experiences that give them the opportunity to explore the real world benefits without the risks. 5. Don't try to mimic the narration voice of others. The important thing to remember when creating your own unique narrative voice for your e Learning courses is that it should be yours. You should try to avoid copying other narration voices or feeling as though you have to closely mimic their vocabulary, pace, or tone. 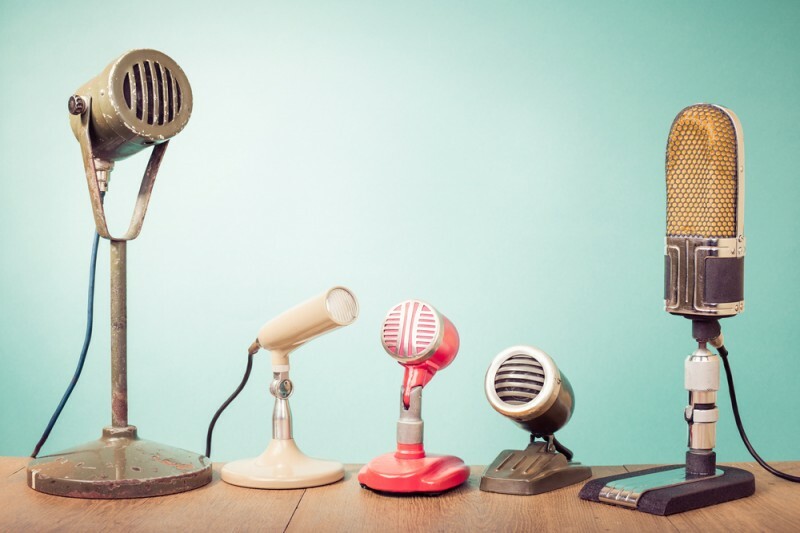 While it's always a good idea to take pointers from those who are more experienced, the narration you craft should ultimately be yours and yours alone. Try to understand what you like about the work of others and see how you can integrate it into your narration, but also increase your awareness of what makes your narrative voice unique and how your learners can benefit from your specific writing abilities and style. Use these tips to find your e Learning narrative voice and fine tune your flow, so that your learners have the opportunity to maximize the benefits they can receive from your e Learning deliverable. In addition, are you looking for helpful e-Learning voice recording tips to plan for your next e-Learning project? I highly encourage you to read the article 5 Tips for e-Learning Voice Recording that will help you get a much better voice recording or at least avoid problems. Now that you have created your content and you have found your narration voice, you wonder about copyright issues? Read the article How To Keep Copyright On e-Learning Content You Create to learn everything how you can create your own intellectual property and what happens with the e-Learning content you create for a company.